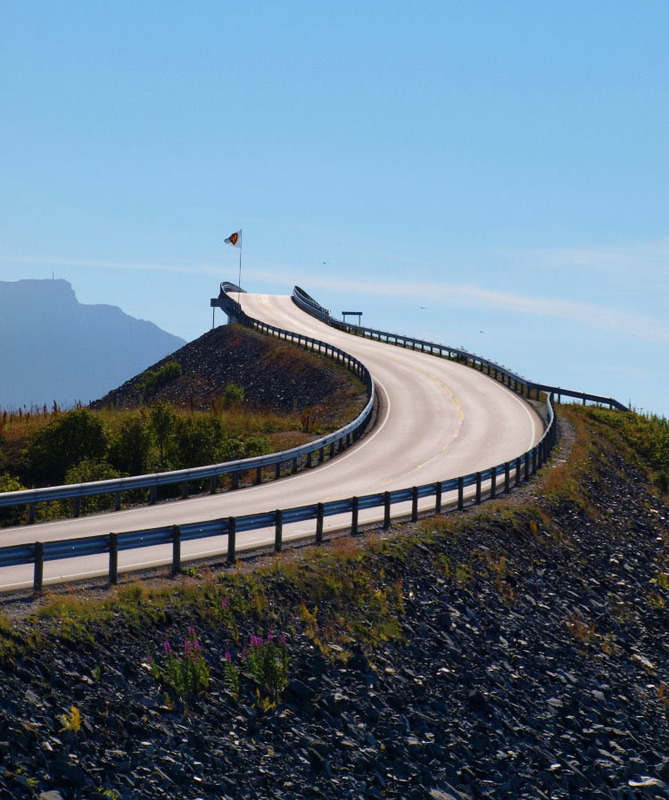 The road connect the mainland Romsdal peninsula to the island of Averoya in More og Romsdal county, Norway. 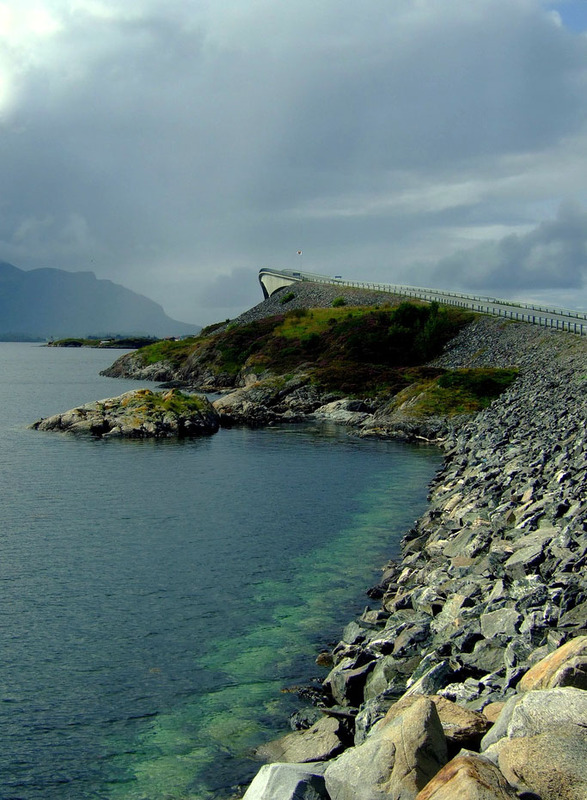 The road linking the islands between two cities, Molde and Kristiansund in the fjords of Western Norway. 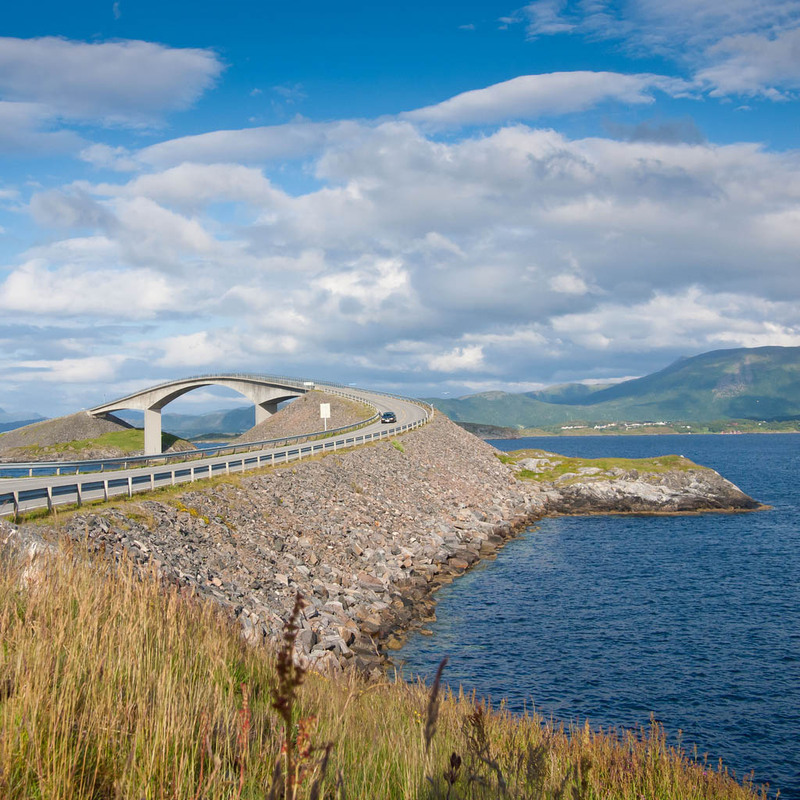 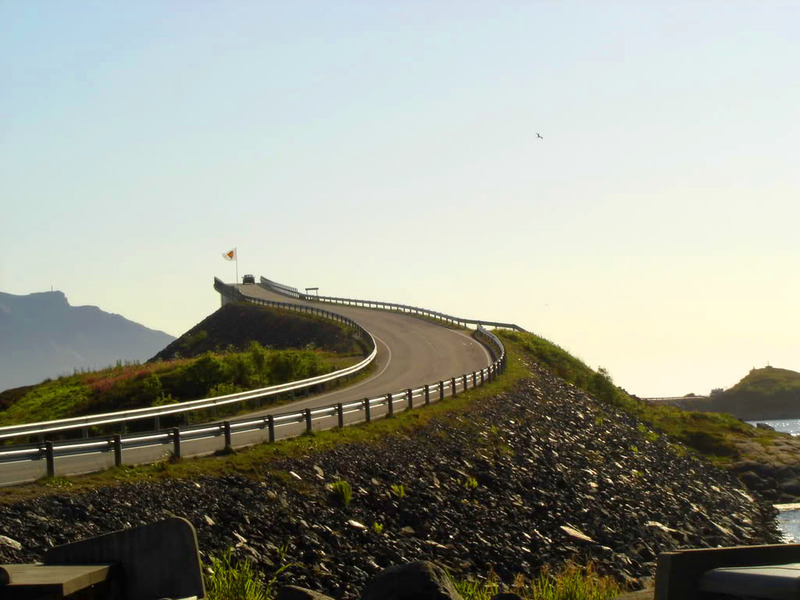 The Atlantic Road glides from island to island by eight bridges. 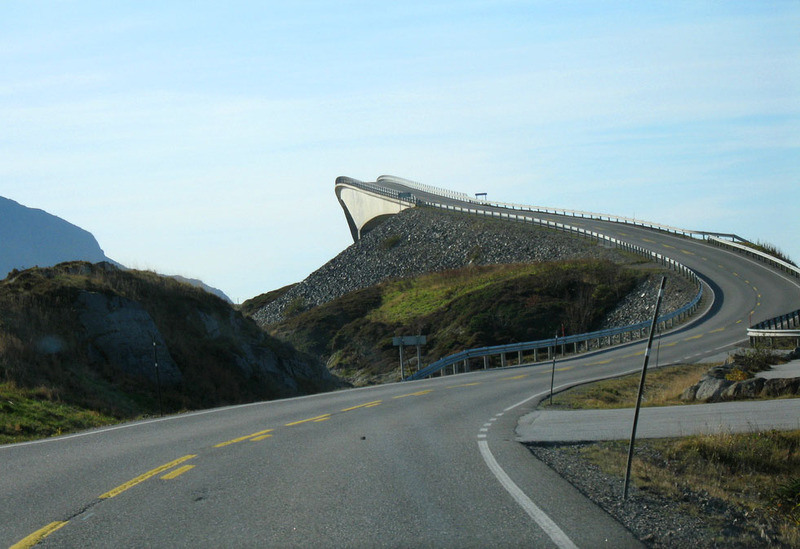 The tallest bridge, the bridge Storseisundet, has a dramatic and beautiful curve and almost brings a perspective of art bridge building. 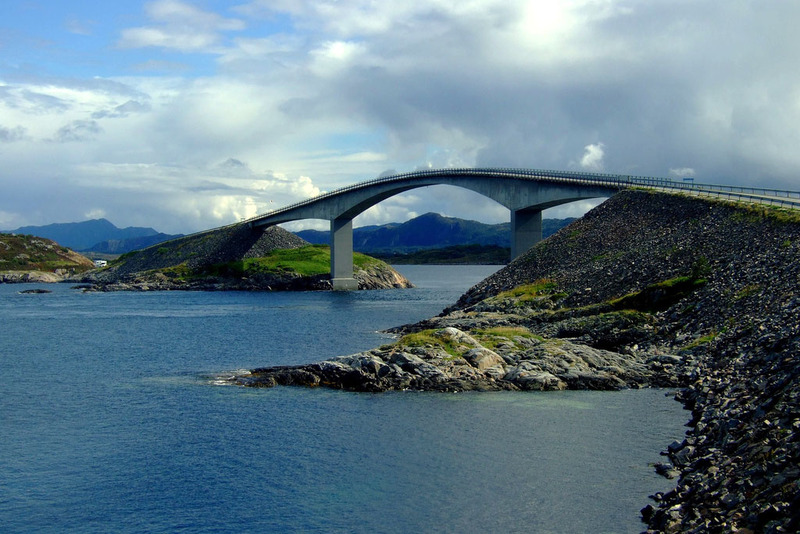 Storseisundet Bridge is a cantilever bridge that is 260 metres long and with a maximum clearance to the sea of 23 metres. 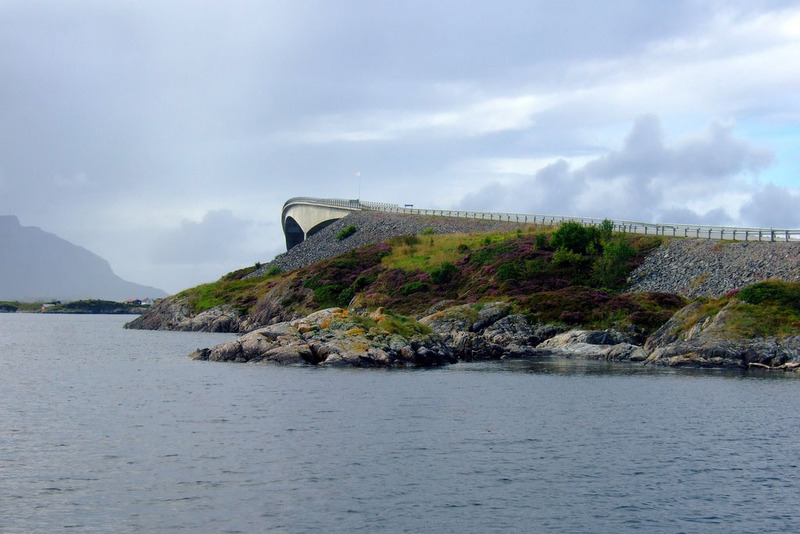 Road was opened on 7 July 1989, and it was a toll road until June 1999. 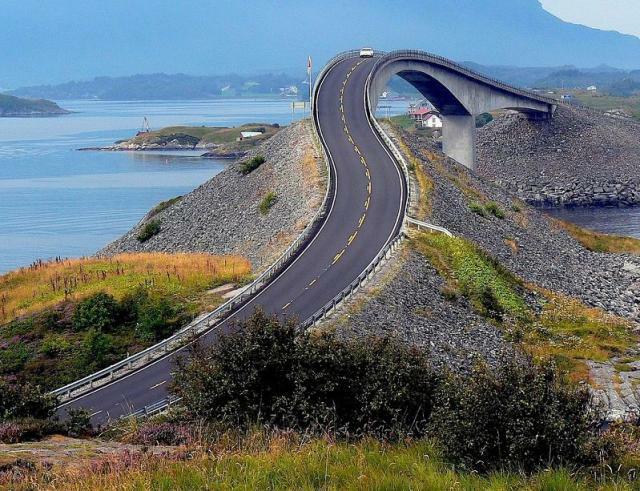 Now, it is toll-free. 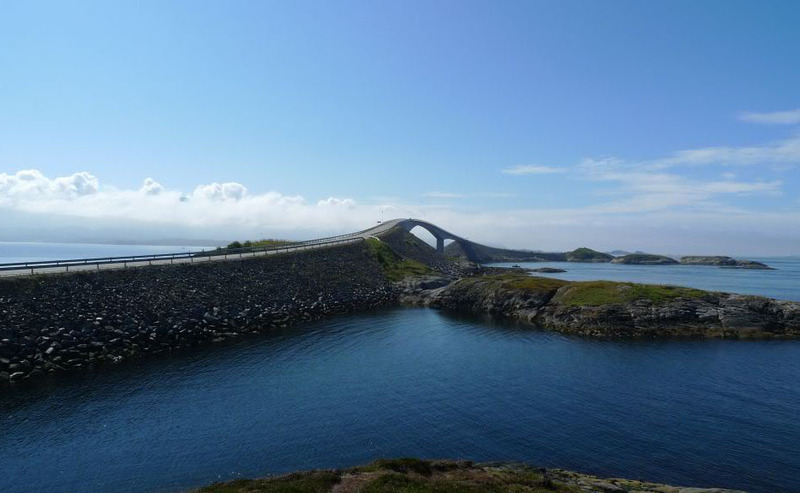 2 Responses to " Atlanterhavsveien – Best Road Trip in Norway "
wow this is really wonderful bridge also i did add this bridge image in my fan page thanks. 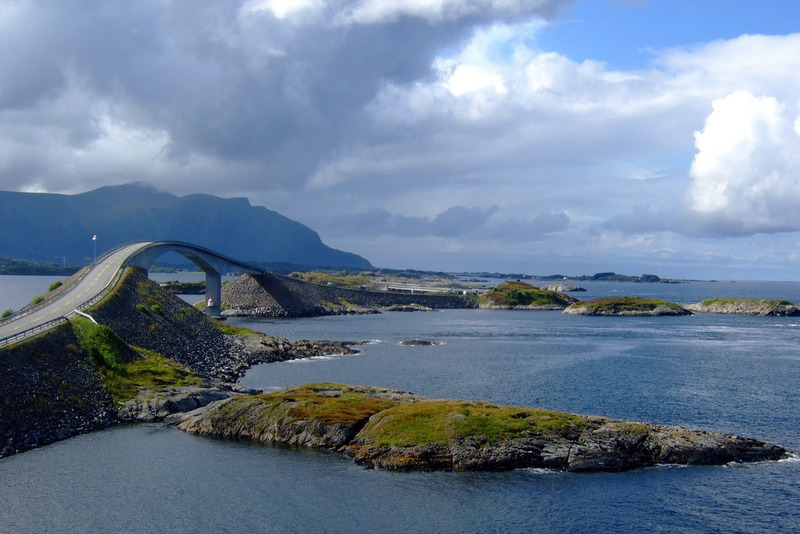 Tags: Atlanterhavsveien, atlantic, Atlantic road, atlantik, Best, best road trips, Bridge, brücke, County Road 64, e64, Highway, La Carretera del Atlántico, Landscape, landschaft, norge, Norway, norwegen, Road, road trip, romsdal, storseisund, Storseisundet bridge, Storseisundetbrua, strasse, straße, The Atlantic Ocean Road, The Atlantic Road, Trip, way..